NEW YORK (Reuters) - A $117 million verdict against Johnson & Johnson (JNJ.N) and a supplier in favor of a man who said his asbestos-related cancer was caused by long-term use of J&J’s Baby Powder could open a new front for thousands of cases claiming the widely-used product caused cancer, legal experts and plaintiffs lawyers said. “This is just the tip of the iceberg,” said Mark Lanier, one of the lawyers representing consumers, who said plaintiffs would file thousands of additional mesothelioma and ovarian cancer cases. New Jersey-based J&J in a statement after the Lanzo verdict said plaintiffs’ attorneys had shifted their strategy to focus on asbestos after a series of losses at trial and in court rulings over previous allegations that the talc itself causes cancer. 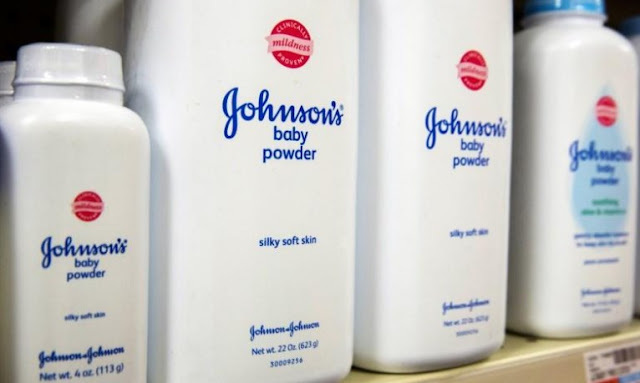 J&J in November also won the first trial over allegations that its talc contained asbestos and caused a woman’s mesothelioma. Plaintiffs lawyers say the jury in that case did not see the documents presented during the Lanzo trial. But Erichson said the widespread use of J&J’s consumer products generally make the company an attractive litigation target. “Baby powder is as ubiquitous a product you can think of and there are lots of people who can testify they’ve been exposed to it,” he said. 0 Response to "J&J Baby Powder litigation takes new focus with asbestos claims"